At the end of the week, we resume everything that the crypto community talked about over the past seven days. This week there were a new details of QuadrigaCX exchange incident, TON project announced the current state of testnet, vulnerability in the Zcash network, and the Facebook purcase. Twitter co-founder and CEO Jack Dorsey stated that Bitcoin will be able to become the main currency for Internet users. In the interview with Periscope Binance CEO, Changpeng Zhao, spoke about the work on implementing Binance DEX and potential partnership with Ripple. Zhao also said that he didn't consider ETF as an essential tool for the growth of the cryptoindustry. According to analyst of investment bank JPMorgan Nikolaos Panigirtzoglu, Wall Street will begin to return to the cryptosphere, as the situation has stabilized in this market. According to Matwise Hogan, the head of Bitwise’s research division, the bullish bitcoin market was a bubble that burst in 2018, but this event attracted a lot of money and talent to a growing industry. According to him, 95% of the existing cryptocurrency would be forgotten - and this is good for the market. The President of the Board of VTB Bank and Candidate of Economic Sciences Andrei Kostin called mining "counterfeiting" and said that this market is unlikely to become large-scale. Speaking at the Blockchain Connect Сonference in San Francisco, Ethereum cofounder Vitalik Buterin said that there are “many bad cryptocurrency projects” that “try to claim faster blockchains,” but the goal of the consensus algorithm is to make the blockchain safe, not fast . When will cryptowinter end? Opinions of three representatives of the cryptoindustry. According to the estimates of HASH Crypto Investment Bank, the value of the future Telegram cryptocurrency may reach $ 29.5 billion by the end of 2019. 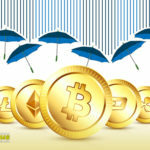 According to forecasts of financial analysts polled by the Australian edition Finder.com.au, by the end of 2019 Bitcoin exchange rate will exceed $ 7000, and according to analysts of the investment and analytical company Fundstrat Global Advisors, bitcoin and altcoins can show us new minimums in the very near future. According to the company Chainalysis, over the past two years, fraud in the etherium ecosystem has become very common. According to the company, this "cryptocurrency has become preferable for fraudsters." 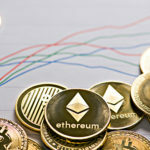 According to the StateoftheDApps analytical service, the activity of users of applications running on the ethereum blockchain remains relatively low. Only 10% of such applications are used daily. According to a study conducted by Canadian financial services company Canaccord Genuity Group, Bitcoin has become more decentralized. In recent years, increased competition among producers of miners has led to increased decentralization. 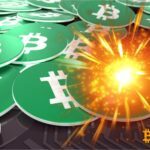 The BTC.com and Antpool mining pools, which are part of the Bitmain structure, have reduced their share in the hashrate of the main Bitcoin cryptocurrency (BTC) to 29%. This is the lowest mark in the last 16 months. Taylor Monahan, the founder and CEO of MyCrypto, said that the QuadrigaCX cryptocurrency exchange may never have had a cold wallet for the Ethereum cryptocurrency. In addition, there are rumors that the exchange to be able to manage by a well-known fraudster. Also, law enforcement officers intend to withdraw Kotten's laptop. The computer will be placed over to independent lawyers who are considering the possibility of selling the company in order to return the funds to clients. The South Korean cryptocurrency exchange Bithumb announced the launch of its own global OTC trading platform. Nobuaki Kobayashi, trustee of the rehabilitation procedures of the now closed Mt. 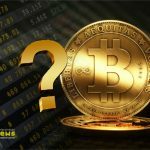 Gox, could sell large amounts of Bitcoin and Bitcoin Cash on the BitPoint trading platform. The US Securities and Exchange Commission (SEC) intends to select for itself such a tool that will allow it to study the “big data” of the main blockchains. The regulator said that it is looking for companies that can provide data based on the transaction volumes in the “most widely used blockchain-registries” in order to “monitor risks and improve compliance with the law”. The new cryptocurrency legislation of Venezuela entered into force. The law contains 63 sections, including the rules for the purchase, sale, use, distribution and exchange of cryptocurrency and related products. It also provides for the creation of a registration system and details the audit procedures and rules for confiscating mining equipment. The Reserve Bank of South Korea has cautioned its counterparts from other countries about the risks that, according to the regulator, involve digital currencies of central banks. In a statement, South Korean bankers said that the launch could lead to massive withdrawal of funds from private banks, and, as a result, to a decrease in liquidity and rising interest rates. Bitcoin legalization will lead to destabilization of the financial sector in India. This position was voiced by experts of the government group established under the Ministry of Finance of the country. After a year of speculation and news about various improvements, Iran has finally introduced Payman digital currency. State-supported cryptocurrency will be used to circumvent sanctions from the United States. Currently, the country's financial system is isolated from SWIFT, which makes import and export almost impossible. In the run-up to the second reading of the draft law “On digital financial assets”, experts shared their views on what additions and changes it is advisable to make in the text of the document. © 2018 bit.news | queries 223, for 0.441 sec.